Wow, its been a crazy week! Turned into a night owl over the last couple of days. Work suddenly took a turn from causal to demanding, and a personal project got me working on details down to the last minute. More on that later. This guy didn't look too happy sitting high up on his branch, staring at everyone looking at him through his glass wall. I guess you would do the same, if you had scores of people just taking a peep at your private moments every time they'd pass by. 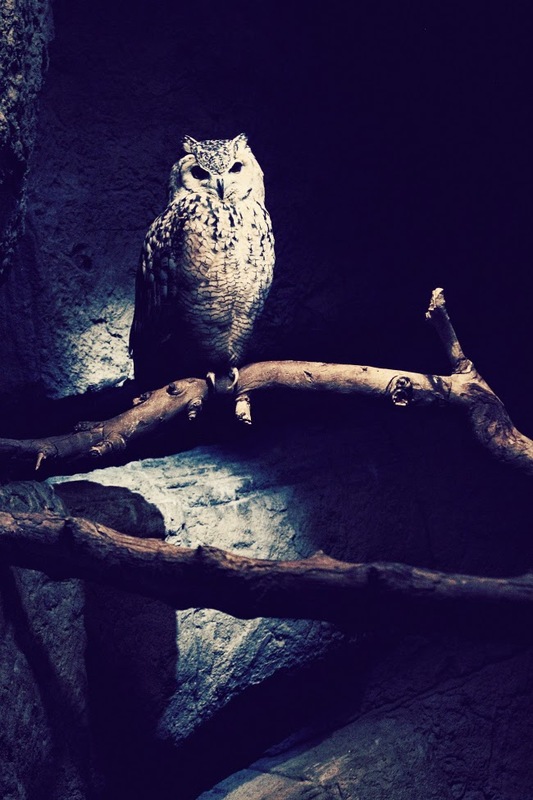 How cool are owl heads though, just moving independent of their bodies? I'd bet robots had their head movements inspired from owls. Scary if we could do the same - like in the exorcist part 1 (the one that mattered). Scientific Center, Salmiya.